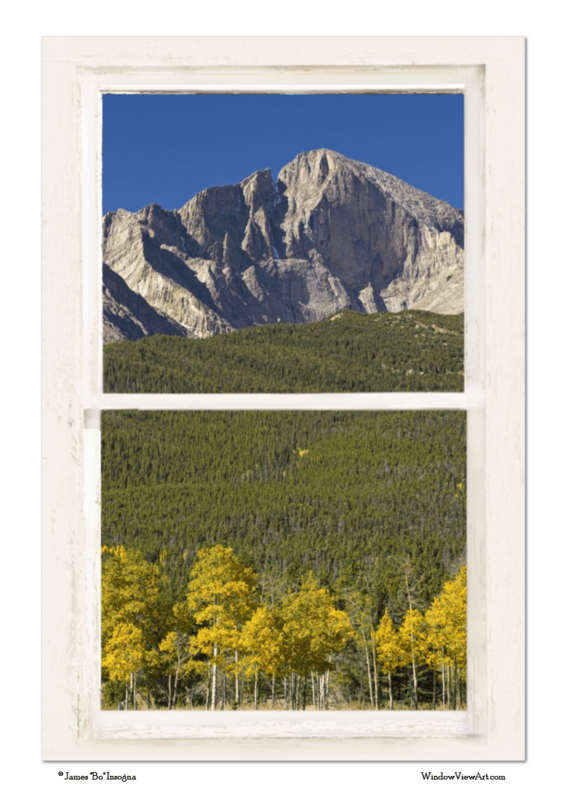 An autumn scenic landscape view of the Colorado Rocky Mountains infamous Longs Peak 14,256 feet high in elevation with golden aspen trees view through a white distressed rustic picture window. Your very own private fantasy window view into the Colorado. FREE Shipping! Create a fine art photography optical illusion of a beautiful rocky mountain peak with a view through an old white washed rustic distressed window. Bring nature indoors, now you can add a window with a view to any room in your home or office with our picture window frame nature landscape art prints. The IMAGE is the FRAME, how cool is that!